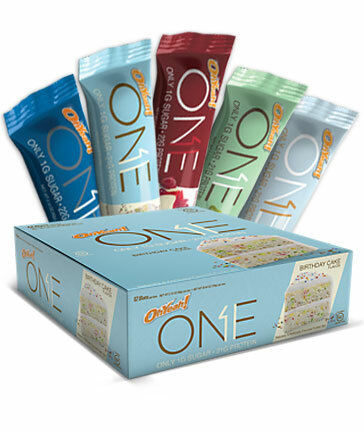 Protein Bars provide us with a simple way to top up our daily protein intake in a simple and convenient way. And with flavours like birthday cake, dark chocolate salted caramel and blueberry cheesecake, who says a high protein diet has to be about deprivation? High Protein Low Sugar Protein Bars are loaded with high quality protein sources, so you can rest assured that you will be getting a full complement of all of the essential amino acids, as well as a host of non-essential amino acids. Essential Amino Acids are exceptional promoters of protein synthesis in the human body. Protein synthesis is an important process that keeps our many tissues and organs healthy, and muscle too. In fact, essential amino acids, like those found in High Protein Low Sugar Bars, support muscle protein synthesis, and therefore recovery and adaptation to exercise. The more demanding and frequent this exercise is, the benefit can be derived from quality protein. High Protein Low Sugar Protein Bars can be slipped into the back pocket or into the handbag or gymbag. So there’s absolutely no excuse to miss that mid-morning protein fix, or to have a lunch on the go that doesn’t quite tick the all-important box for protein content. With a High Protein Low Sugar Protein Bar, you are ready to face just about any dietary scenario. I pair this product up with my Oxyshred, works a treat. Flavourless and don't notice it mixed it. Get a lot out of the container so really good value.